Syosset won its second straight Long Island Championship on Monday afternoon, downing Suffolk County Champion Commack 7-0 at Eisenhower Park in East Meadow, culminating another incredible season for the program. “We’re really excited,” said Syosset head coach Shai Fisher. “I’m super excited for this team. Just happy we were able to come out with the win in the end. Senior Daniel Pellerito got the scoring started for Syosset with a 6-0, 6-0 win over Sol Yoon at first singles. Senior Daniel Pellerito notched a straight-sets win at first singles to help lead Syosset on Monday. 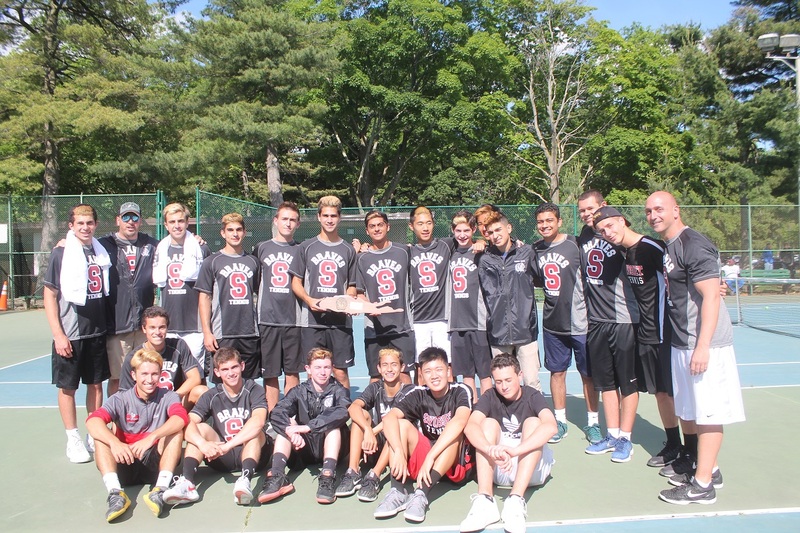 Eli Grossman bolstered the Syosset lead with a 6-3, 6-0 win over Jake Stadik at third singles, and the first doubles tandem of Preet Rajpal and Brian Gao brought the Braves closer to victory with a 6-4, 6-3 triumph against Alec Sydney and Ryan Schoenfeld. 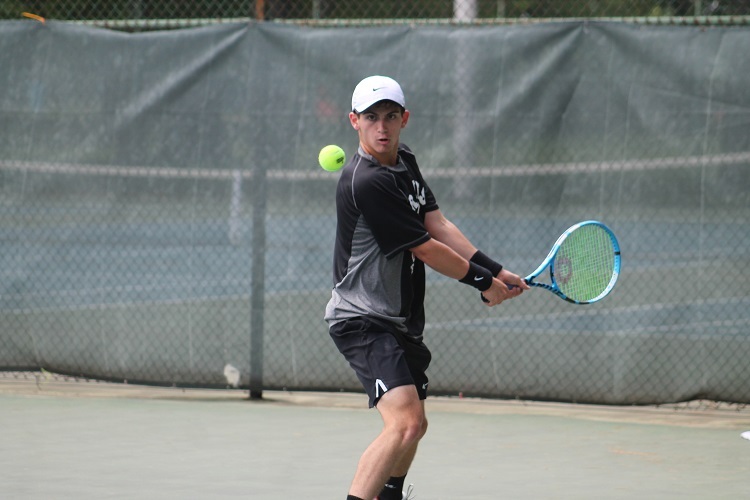 The clinching match came from the third doubles team of Jeremy Levine and Peter Bukary, who notched a 6-1, 6-3 win over Gabe Chan and Zach Eisler. Seniors like Rajpal and Grossman have been in the Syosset program for five years, and saw their roles transition from young talents to senior leaders, helping lay a set of expectations for the program that has been passed on to the current young players on the roster.